Join the ‘California Adventure’ for one evening on Saturday, May 5, 2018, featuring a private rodeo, champagne reception and full BBQ dinner, and check out the real ‘Eleanor’ Shelby GT500 resto-mod from ‘Gone In 60 Seconds’! Raffle entries are $20 each, or 6 entries for every $100. Your support is truly appreciated! Thank you Nashville Corvette Club members! The NCM "Drive Toward a Cure Day" - a FULL DAY of Touring Lapping - costs $125 per entry. Your support is truly appreciated! Tax receipts ($50) will be sent by email following the event. Thank you Hurricane Region PCA members! 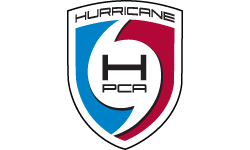 The Hurricane Region PCA has set a minimum donation of $50 per person for the "Drive Toward A Cure Day" event registration. Your support is truly appreciated! Tax receipts will be sent by email following the event. Learn more about the Drive Toward a Cure California Wildfire Grant Fund. Please consider giving generously in the wake of this deadly disaster! Your support in the fight against Parkinson's Disease is greatly appreciated. Without individual donations such as yours, the future of Parkinson's Disease research and patient care will not receive the full attention that it so badly needs. Your donations help make Parkinson's Disease research a priority. The goal of Drive Toward a Cure is to raise funds to support this cause. Most donations* are tax deductible (please seek professional tax advice for your individual needs) and support the The Michael J. Fox Foundation and the Parkinson's Institute and Clinical Center. Check our list of Fundraising Pages and Events to make sure your donation is applied to the intended Fundraising Page or that you're correctly registered for a Fundraising Event! Want to create your own Fundraising Page or Event? Create an account (if you don't already have one) and build your page now! Contact us for more information. Donations of $500 or more will entitle the donor to be included as a "Friend of Drive Toward a Cure" — you will have the option to have your name or business logo listed on the web site for one year from the date of the donation. Please reply to your donation confirmation email with your logo. Illustrator AI/EPS/PDF format is preferred. Donations can also be made directly to the Michael J. Fox Foundation on the Drive Toward a Cure Team Fox page. All donations are shown on the site. You may leave as "Anonymous", click here to use your name, or enter something else. Yes, you may contact me by e-mail with news and updates. * Donations made as part of a raffle or similar may not be tax deductible under IRS guidelines. What 's the Processing Fee?